The idea of remodeling your bathroom is exciting, but it can also be a little overwhelming if you’re just getting started. Where should you even begin? There are so many facets of bathroom remodeling that sometimes it’s easier just to break it down to the basics and start there. So that’s what we’ve done with this blog! This week, we’re going to talk about some bathroom remodeling basics that will help you get started on your project. We’re breaking it down to the basics of bathroom remodeling in our blog! The best way to get the most value out of your dollar during a bathroom remodel is by taking advantage of the space you had. Adding square footage may seem appealing at first, but once you get into the actual logistics and cost, it can soon loose its appeal. 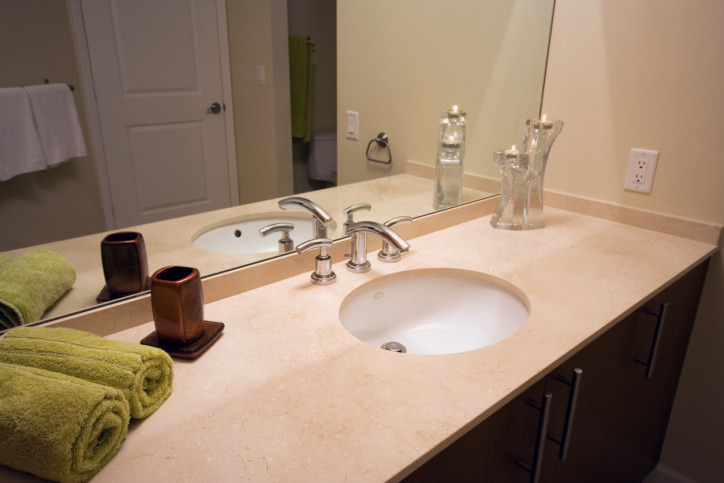 Consult a bathroom remodeling professional to help you evaluate your space. A new pair of eyes (not to mention a professional one) can really help you see your bathroom from a new perspective and find the inherent advantages of the space that already exists. From here, you can move forward and really maximize the efficiency of your new bathroom. The earlier you establish your budget, the better. It can be tempting to fudge the budget a little bit when you’re already into a project, but you might soon find that a few extra dollars on a sink turns into a lot more spending than you had anticipated. And of course, make sure you leave room in the budget for unanticipated/unforeseen work that needs to be done, such as getting rid of mold. Are you planning on selling within the next 5 years? If so, you should remodel your bathroom with current trends and resale in mind. This will maximize your potential for return on investment. If you’re planning on staying for longer than 5 years, then you can tailor the bathroom remodel more towards your own interests. Any trends that exist now will have passed by then, so it’s not worth it to try to keep up with them. This entry was posted on Tuesday, July 28th, 2015	at 9:02 pm	. You can follow any responses to this entry through the RSS 2.0	feed. Both comments and pings are currently closed.